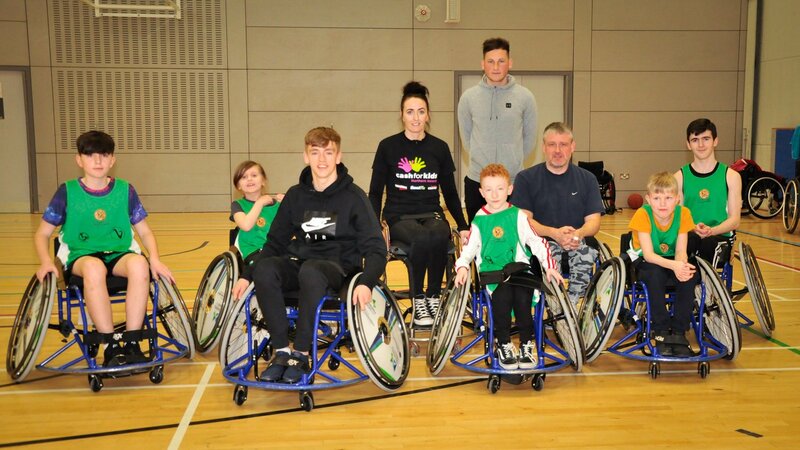 Last week, City players Ciaron Harkin and Conor McDermott visited the North West Wolves Wheelchair Basketball training session. The basketball club are raising funds as part of the Cash For Kids NI programme. Ciaron even joined in on a practice game for the green team. The players had a great time on their visit and the club would like to thank the Wolves for having us along! North West Wolves Wheelchair Basketball Facebook page.